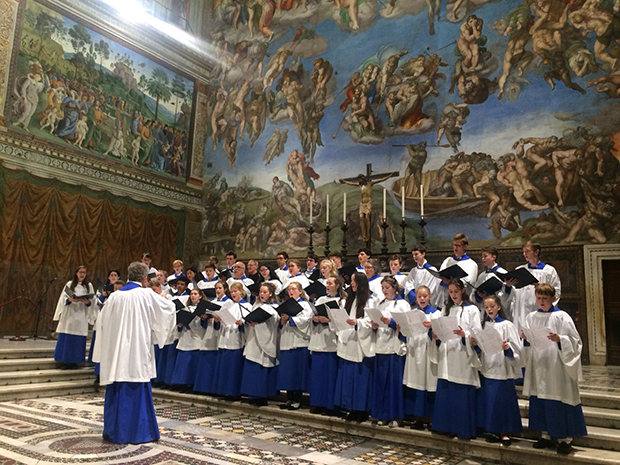 During a recent trip to Rome, the Worth Choir enjoyed the unique privilege of singing in the Sistine Chapel. 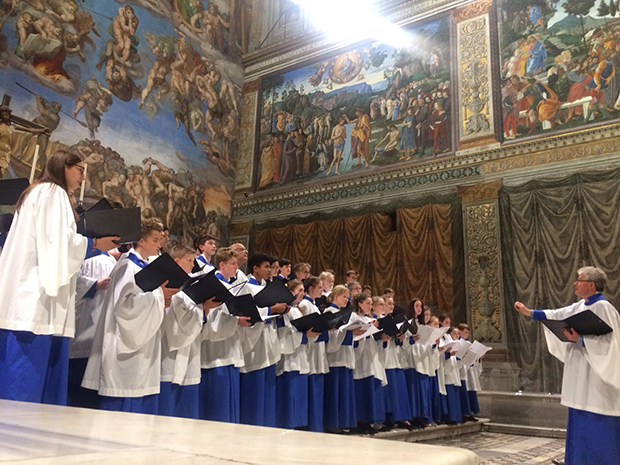 In doing so, Worth became the only School Choir ever to be invited to sing alone in the Sistine. 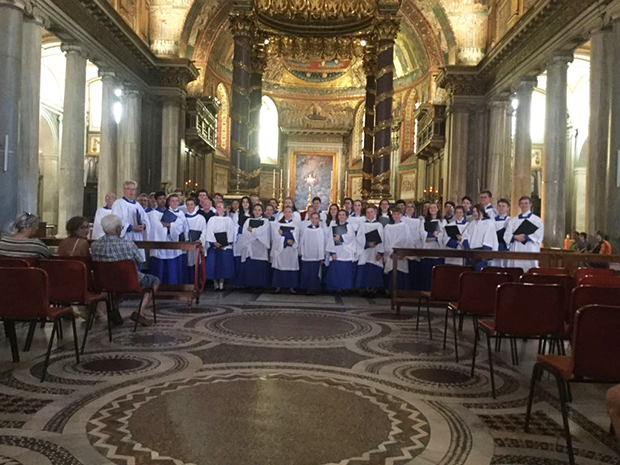 In 2016, the Worth Choir sang alongside the Sistine Chapel Choir at a Papal Mass in St Peter's Basilica. Mr Michael Oakley, who has retired this summer after 26 years as Director of Music at Worth, said: "I thought the Mass in St Peter's two years ago would be the pinnacle of my time at Worth, but this was something very special and a rare privilege." 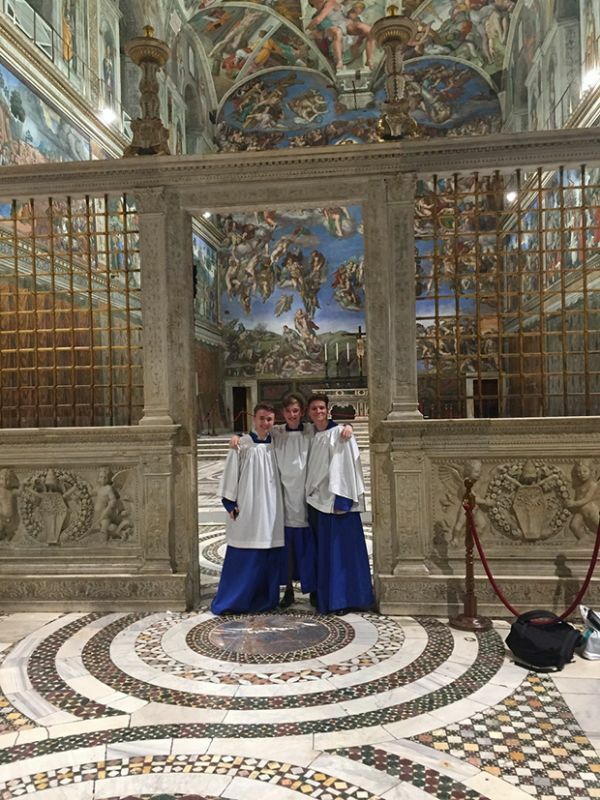 The Choir sang three pieces in the Sistine Chapel. 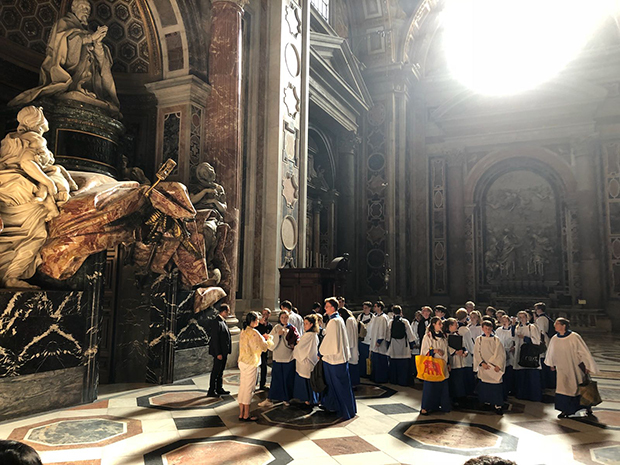 Earlier in the day, they sang at Mass in St Peter's, enjoyed a tour of the Basilica and saw the Pope's private chapel, which is not open to the public. 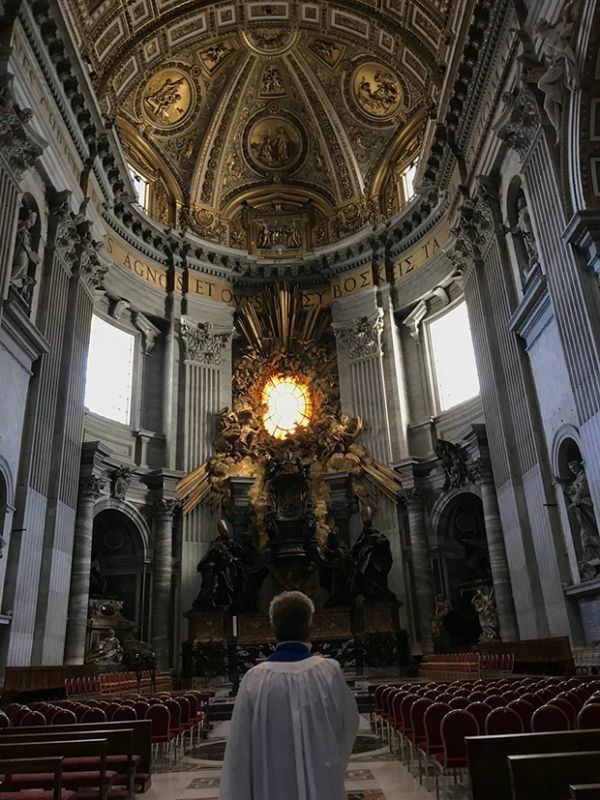 This magical experience will provide lifetime memories for every member of the Worth group in the Vatican. 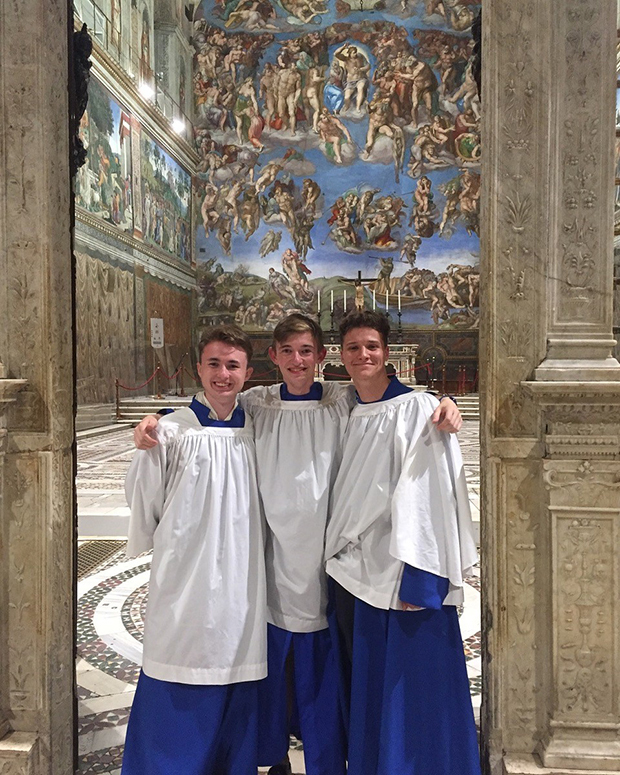 For three members of the Choir – Year 13 leavers Eli, Ben and Freddie – there was an extra significance. Eli said: "It was a particular privilege to end our Worth singing careers in such a sacred and special place. We all joined as trebles back in 2011 and have been in the Choir for seven years. Having the opportunity to sing one last time with each other was the most enjoyable and treasured memory of the trip for me. "The trip also served as a reminder of Mr Oakley's achievements as Director of Music over the last 26 years in transforming the department and showing what extraordinary and far flung places music and the performing arts can take you." 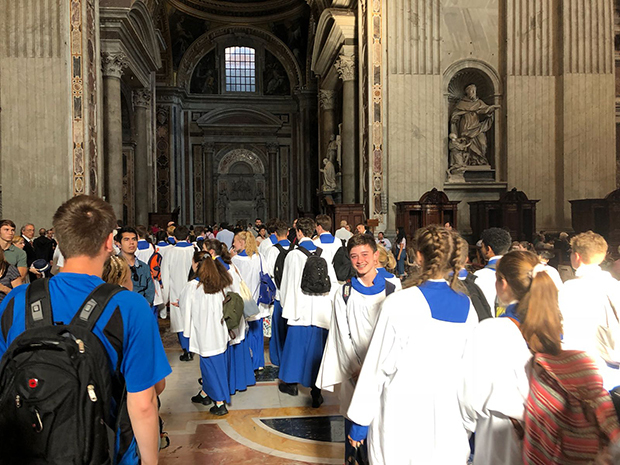 During the trip the Choir also visited Basilica di San Clemente, the Colosseum, Roman Forum and Pantheon, as well as signing at Mass at Basilica di Santa Maria Maggiore. 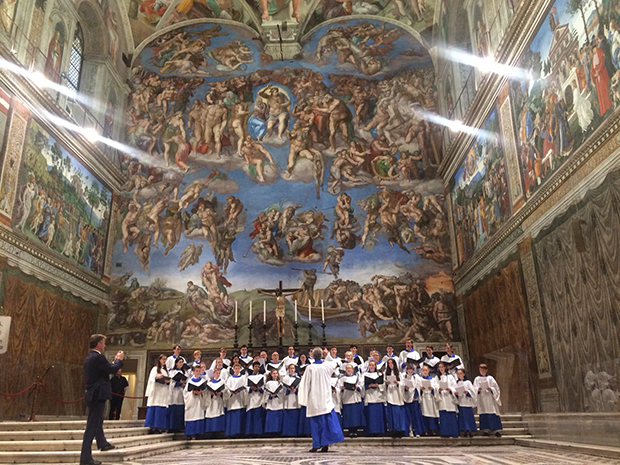 Pictures on this page show the Choir singing in the Sistine Chapel. To watch them singing click here.